Packed with how-to-cope ideas and motivation tips for anyone feeling bored, angry, frustrated or overwhelmed with too much housework. Available in paperback and eBook download. If you lack the motivation to do housework – or it’s become a source of misery, boredom, frustration or fury – these feelings can affect your relationships, your health, even your wealth. So there are some truly outstanding benefi ts in learning to survive your Housework Blues. Now, finally, there’s a book to help you do just that. This fun and easy read highlights the real value of taking care of your home, but more importantly, it inspires, motivates and keeps you sane along the way. If you lack the domestic gene where housework comes naturally, or your feminist tendencies make you want to run screaming from mop and bucket, then this book is for you. Containing over 75 insights, tips, games and ideas – tailor-made to bring calm and comfort to any woman with a home to keep. 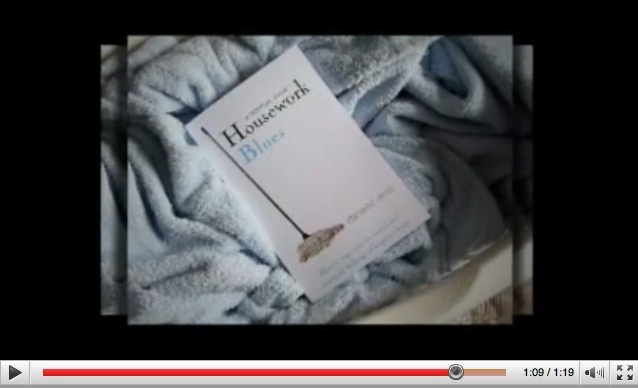 – Housework Blues is a virtual pick-&-mix goodie bag of housework-survival tactics. These simple suggestions could save you years of anguish and frustration, liberating you to enjoy a beautiful home with both your sanity and relationships intact. There is a calm, confi dent alternative to the misery of Housework Blues. This guide will help you fi nd it.